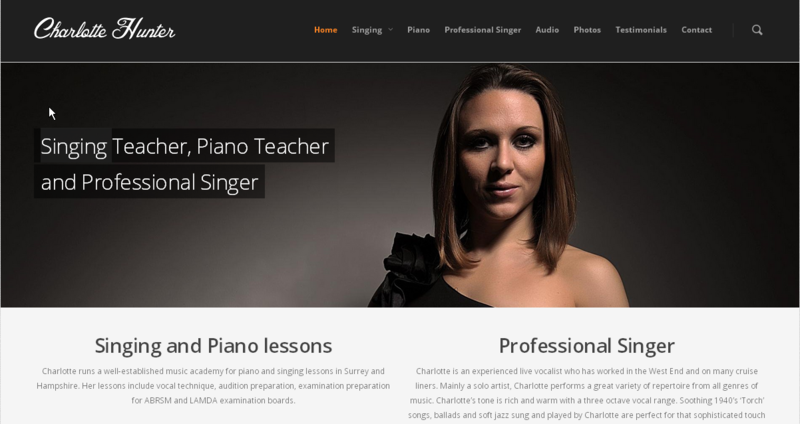 Charlotte wanted a refreshed and dynamic website to showcase her singing and training profession. We developed a classy, engaging site that displayed audio, scheduling and booking sections. It was also SEO optimised and site visitors have rocketed since its implementation. © 2019 Wiredfusion Web Development and Design.